What’s the next move for Anthony Foxx? 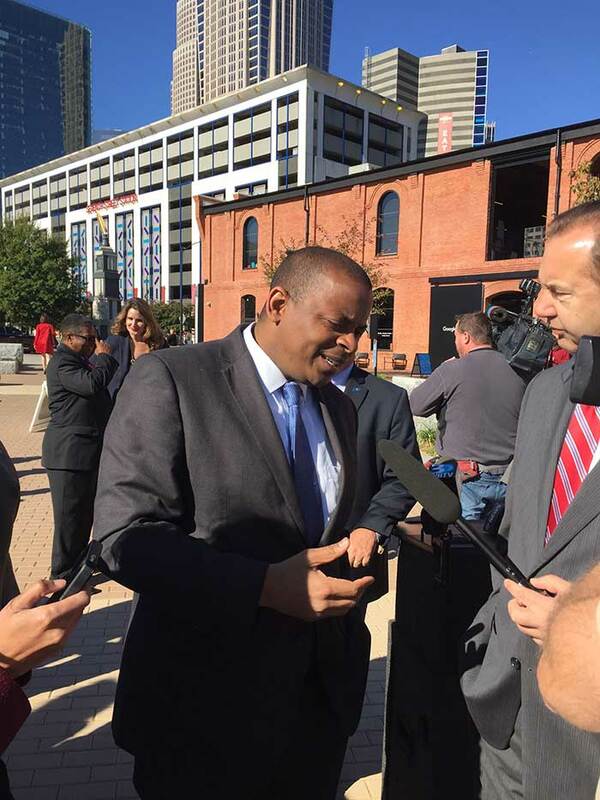 Anthony Foxx must have said it five or six times: He has the U.S. Secretary of Transportation job for 86 more days. But after that, what will the popular former Charlotte mayor do? We’ll still have to wait and see. 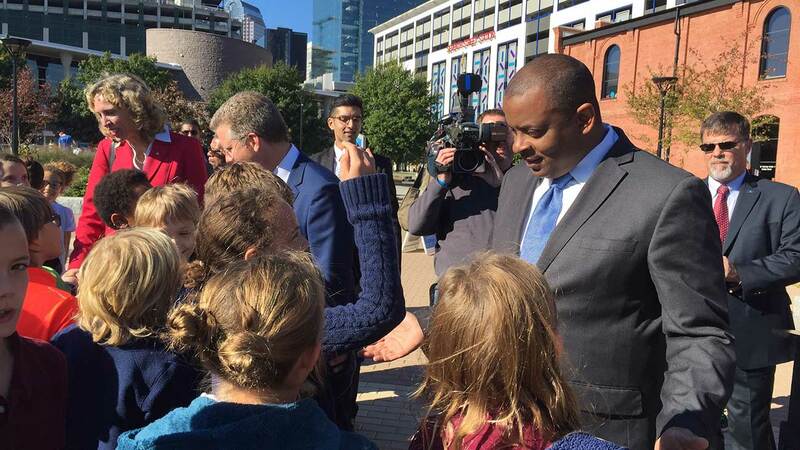 Standing in First Ward Park on Tuesday, Foxx demurred on giving concrete details what he’ll do next, though he dropped hints that he’ll be looking at a higher elected office once his boss’s presidential term ends. 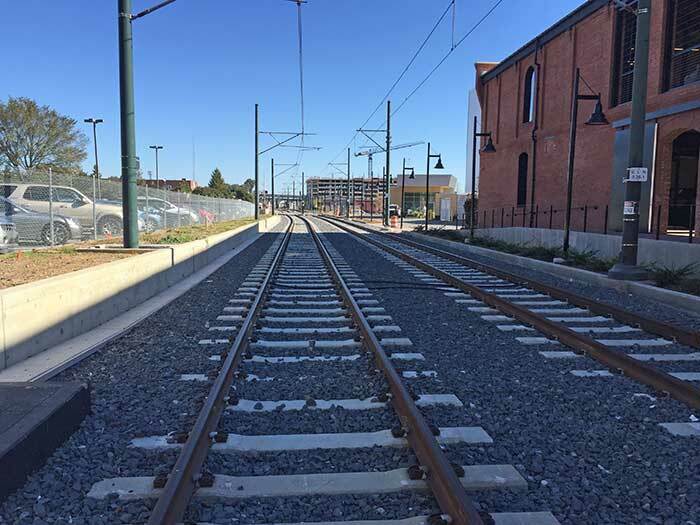 Foxx was in town alongside Office of Management and Budget Director Shaun Donovan, touring the Blue Line extension project that will extend the light rail from Uptown to University City. Foxx has long been looked at as a rising star in the Democratic Party, both statewide and nationally. Reports based on WikiLeaks emails say he was on a relatively short list of candidates considered for Hillary Clinton’s vice presidential pick. His name was also floated among potential candidates for U.S. Senate this year, to run against U.S. Sen. Richard Burr (instead that slot went to Deborah Ross and they’re now in a closely contested race). 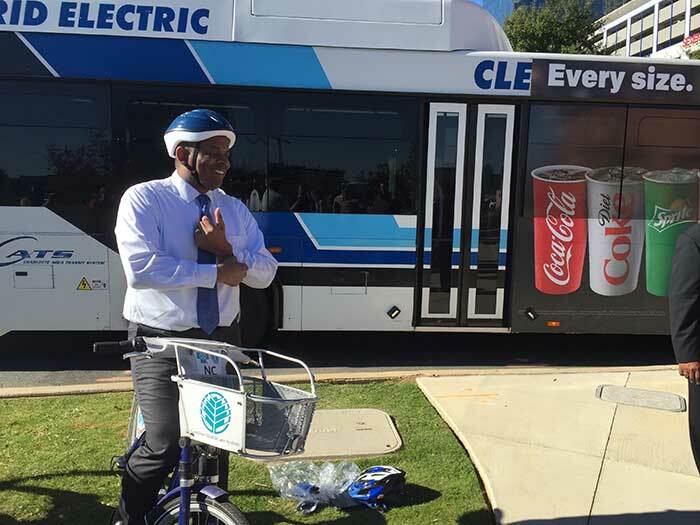 Foxx’s role as transportation secretary has kept him regularly involved with Charlotte civic affairs. 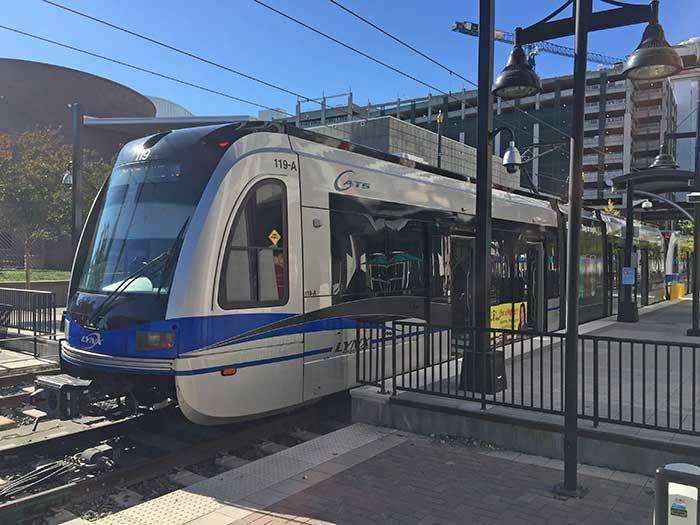 The battle for political control of Charlotte Douglas International Airport is stalled in front of the Federal Aviation Administration, and the federal government is highly involved in funding Charlotte transportation projects like the Gold Line streetcar and the Gateway Station in Uptown. “He usually comes here with a check,” current Mayor Jennifer Roberts joked. Foxx did repeatedly defer on specific questions about what Charlotte should do — with its transportation plan review, for example. What could be his next step? A seat in the U.S. House seems the most achievable in the short-term. Foxx would be a strong candidate for the 12th Congressional District in 2018, where Greensboro native U.S. Rep. Alma Adams currently serves. Adams held on a hotly contested primary this spring and is poised to be re-elected, despite the district being redrawn to only include Mecklenburg County. Adams is 70 and could look to retire. Foxx could also unseat her if he could consolidate the local vote that was split between N.C. Sen. Malcolm Graham and N.C. Rep. Tricia Cotham in the primary. 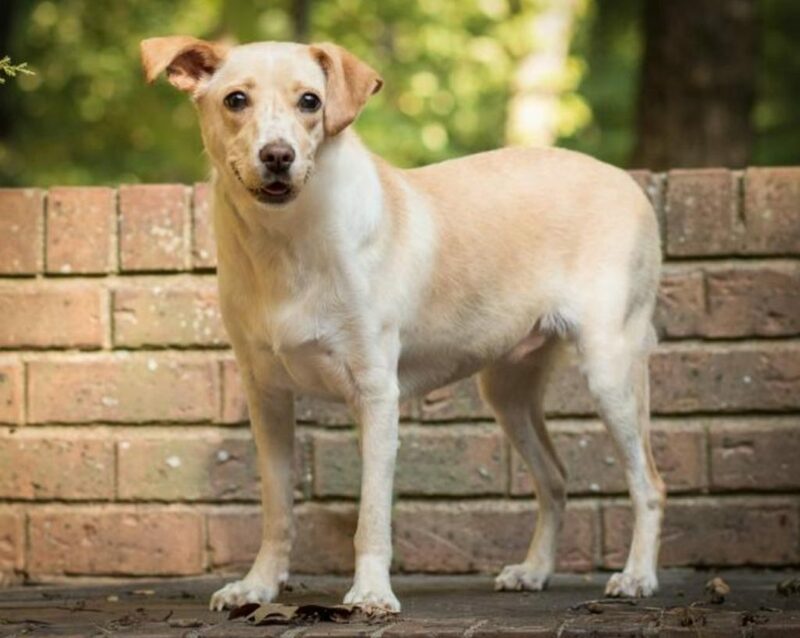 He could also be a candidate to face U.S. Sen. Thom Tillis in four years, or to run for governor if Roy Cooper loses this year’s election to Gov. Pat McCrory. A step backward, so to speak, back into municipal government doesn’t seem to be in the cards. “I went into local government with the idea of, ‘you do your service and then you move on,'” he said.